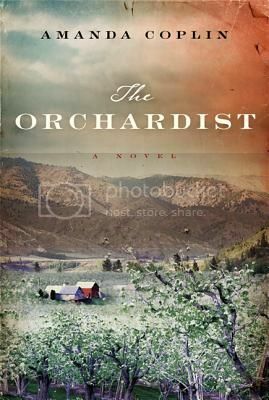 The Orchardist initially gets off to a bit of a slow start; other than the conflict near the beginning of the book between the girls and the man who hunts them there is not much plot. As you continue reading, however, Coplin’s beautiful writing and wonderful characterizations draw you slowly but surely into the lives of her characters. Coplin does not set her dialogue apart with quotation marks, but for once it did not impede my enjoyment of the book. Told in the third person, the whole thing seems like the remembrances of descendant; reading it is akin to studying a sepia-toned photograph of a place or event significant to your grandparents. This beautiful book is not flashy, but it captured my attention and my heart. Highly recommended. For more, please see my review for the SheKnows Book Lounge. I started this on audio but it was so slow I switched to something else. It sounds like I need to give it another try. I agree with your assessment; it builds slowly but Talmadge is such a wonderful character and I really became enveloped in this story. Your mileage may vary, but I think it was worth it for where the book went. It’s on hold for me at the library…but have a few others to start/finish before I get to it. I’ve got an ARC of this and I’m glad you mentioned the slow start. If it’s worthwhile, I’ll be sure to keep reading. Some of my most favorite books took well over 50 pages to get interested.